Professor Sarah (Sally) L. Price, Professor of Physical Chemistry at UCL. She applies her expertise in modelling intermolecular forces to develop the computational prediction of organic crystal structures and their properties. Prof Alastair J. Florence, Strathclyde Institute of Pharmacy and Biomedical Sciences at the University of Strathclyde. 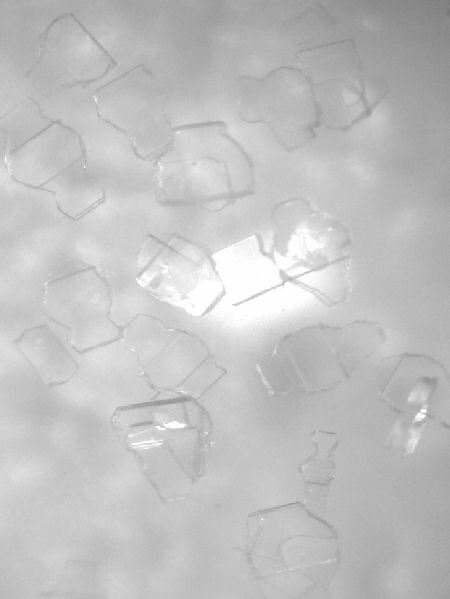 Specialises in crystallographic investigations of solid-state polymorphism in pharmaceuticals, including crystallisation and purification. Prof Derek A. Tocher, Professor of Chemistry at UCL. Special interests in applying laboratory X-ray diffraction techniques to characterising organic, inorganic and organometallic compounds. Dr Simon Gaisford, Reader, UCL School of Pharmacy. Will be leading the development of an ink-jet printer, in partnership with TTL Meteor Ltd, designed to enable exploration of the critical operating parameters that effect crystallisation to specific forms. Dr Dimitrios Lamprou, Lecturer in Pharmaceutical Sciences, Strathclyde Institute of Pharmacy and Biomedical Sciences at the University of Strathclyde. Professor C. Richard A. Catlow, Director of the Davy Faraday Laboratory at the Royal Institution, and Head of Department of Chemistry at UCL. Specialises in atomistic and electronic structure simulation with both code and technique development. Professor W.I.F. (Bill) David, Associate Director, CLRC Research Networks. He leads the development of powder neutron techniques at the ISIS Facility at CLRCs Rutherford Appleton Laboratory. Professor Kenneth D.M. Harris, Distinguished Research Professor in the Department of Chemistry at the University of Cardiff. Specialises in solid state NMR and diffraction studies of organic solids. Dr Maurice Leslie, is a Senior Scientific Officer in the Computational Science and Engineering group at CCLRC Daresbury. Principal developer of the computer simulation codes DMAREL and DL_MUTLI. Dr Maryjane Tremayne, Royal Society Research Fellow at the University of Birmingham. Special interests in structure solution from powder X-ray diffraction. Prof. Chick C. Wilson, Professor of Chemistry at the University of Glasgow. Specialises in single crystal neutron diffraction techniques.